Brant Crates is searching for answers to what happened to his great-granddaddy; however he doesn’t expect to run into three old ladies who leave him drugged and tied to a bed. Elizabeth Murphy has just inherited Miss Hattie’s Henhouse, for an uptight and proper librarian all she wants to do is get rid of it one day she finds a man tied to a bed and soon her life takes an unexpected twist. When I first started this book I kept getting angry, let me explain. I am from West Texas where Brant is traveling to Miss Hattie’s, there actually is a Miss Hattie’s in West Texas so when the author was describing the fallen down mansion I knew she was way off the mark. Miss Hattie’s is in San Angelo, Texas and has actually been made into a museum; it is located above a jewelry store in downtown San Angelo. Finally I came to the part where the author says “Bramble, Texas” and I was completely relieved that she did not mean the actual Miss Hattie’s. Once I was over that little hurdle I actually loved the book. The three old “Hens” who still live in Miss Hattie’s were my absolute favorite as they always seemed to be getting into trouble one way or another. 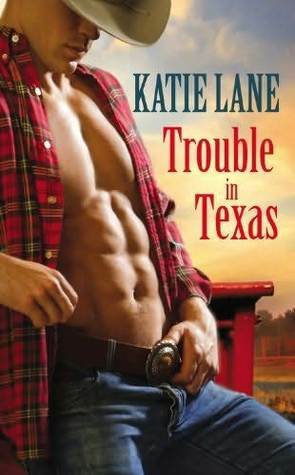 These ladies may have been my favorite characters but Katie Lane created some absolutely fabulous characters including Brant and Elizabeth, but also a wide range of supporting characters that truly add new dimensions to an already fun read. Katie Lane has created an amazing romance, fantastic characters, and a storyline that is completely captivating. This is definitely worth the read.